British designer John Westell originally designed the 18-foot “Coronet” as a contender for a berth as a two-person performance dinghy in the Olympic Games, but the deign lost out during the International Yacht Racing Union’s 1953 selection trials to the Flyting Dutchman. While this was a setback, the following year Westell was invited by the Caneton Association of France to modify his design, and he eventually settled on a design that was a moniker-generating 5.05 meters, LOA. Good-by Coronet, hello Five-oh-Five. 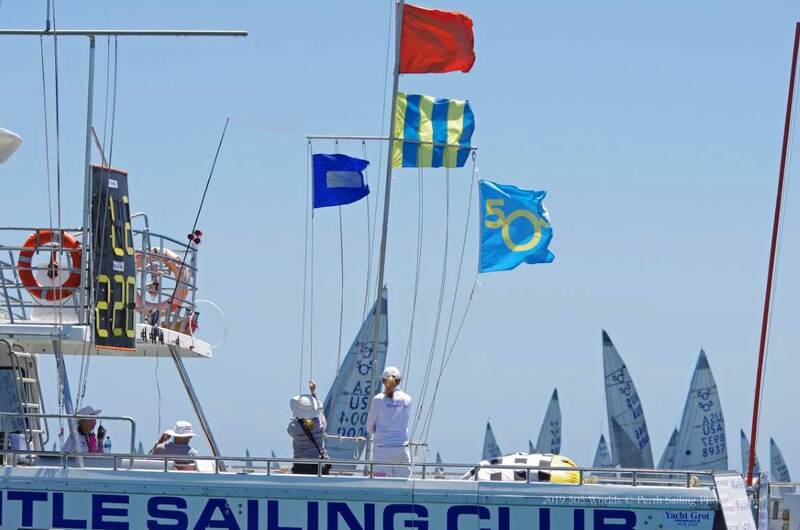 While the newly minted International 505 was a slightly decaffeinated version of the Coronet (shorter LOA, reduced sail area, reduced displacement), the two-person, single-trapeze 505 proved to be a rocketship and immediately started drawing some of the biggest names in high-performance sailing, including the late, great Paul Elvstrom, who claimed top honors in 1957 and 1958 and second-place honors in 1966. The first boats were built from cold-molded plywood, but contemporary builds use fiberglass or carbon fiber and epoxy resins, as well as core materials such as foam or balsa wood, and modern rigs are aluminum with carbon-fiber booms and spinnaker poles. The class rules tightly regulate the boat’s sailplan and hull (shape and minimum weights), but the centerboard, rudder, mast, rigging, and, critically, the control layout, are open for designers and teams to innovate. The class has held yearly World Championships since 1956 to determine its fastest guns, and the event typically migrates between North America, Europe and southern hemisphere destinations. 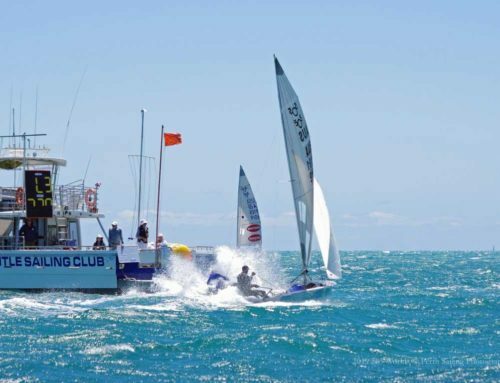 The 2019 505 World Championships are being hosted by the Fremantle Sailing Club and will unfurl on the typically windy waters off of Fremantle, Australia from December 29, 2018-January 7, 2019. 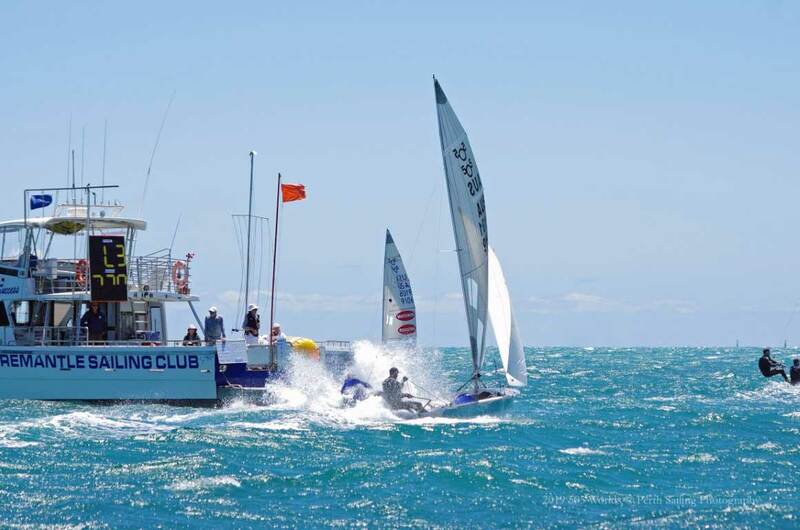 I checked in with Andrew Cawley, who serves as Western Australian 505 President, via email, to find out more about the class’ exciting 2019 world-championship regatta. 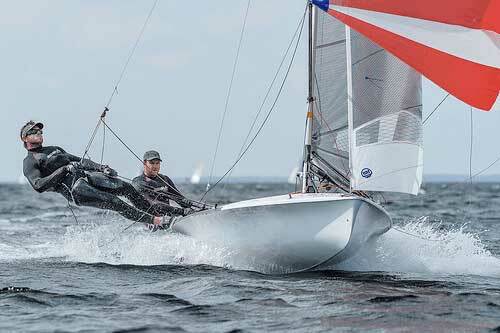 How many boats are you expecting at the Worlds? 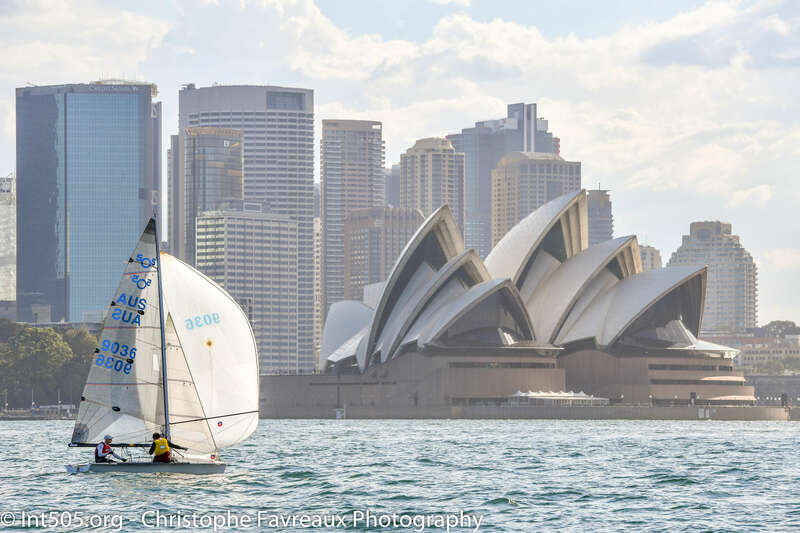 Also, do you expect that most teams will be flying sails that read “AUS” in front of their numbers or do you expect a lot of international entries? 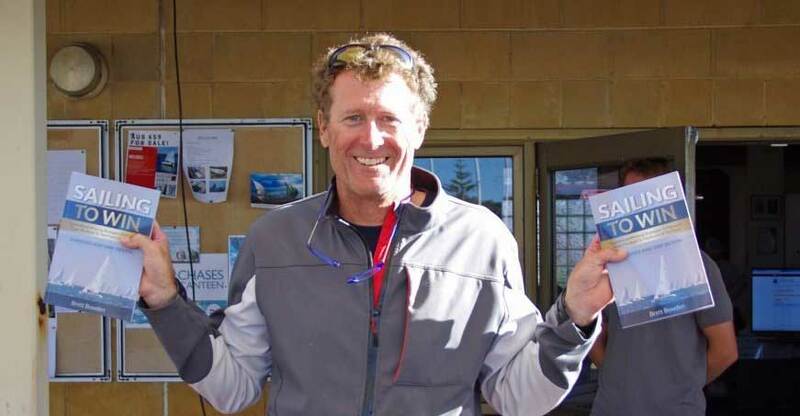 Hoping for anywhere from 80 – 100, trying to get every 505 in Western Australia on the water for the event, [and] with the addition of the classic fleet even the older boats can be competitive. As for the mix in the fleet its looking to be about 50:50. We have competitors coming from Germany, France, USA, South Africa, Denmark and the UK at this stage. It’s gonna be a great mix of people from all over the world. 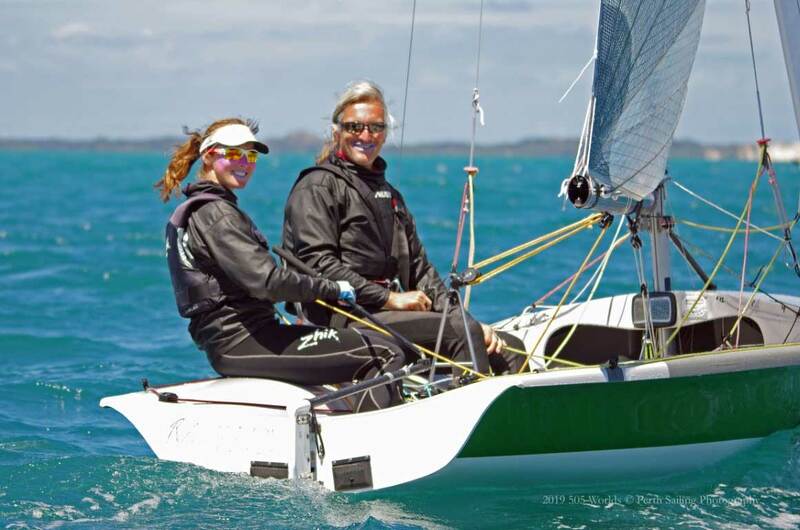 What kind of weather conditions can sailors expect? What are the best-case and worst-case scenarios? 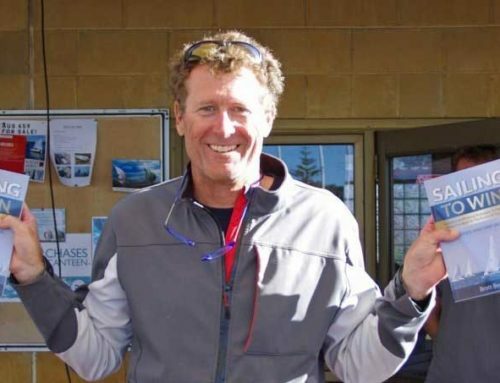 The Fremantle Doctor should be giving us a consistent SW [breeze] in the 15-25 knot range, which is our goal for the event that said the weather is always unpredictable. 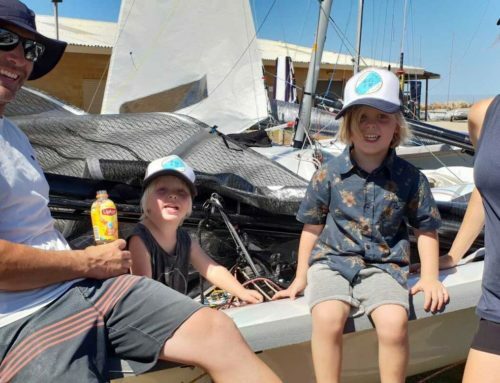 Worst-case scenario, we get a glass-over for a day and you end up on shore in Fremantle with a beer in hand and a plate of calamari for an afternoon. ?? How important do you think local knowledge will be? Also, do you expect most visiting teams to arrive early and acclimatize to conditions? Local knowledge always helps and Fremantle on our course area certainly has its nuances. Most of our competitors [shipping] containers will be arriving next week with some European teams showing up in mid-December to start acclimatizing and training in the local conditions-including world champions Wolfgang Hunger and crew Holger Jess.?? How stiff do you think competition levels will be? Also, how do you think this competition would stack up to 505 Worlds fleets from 10 years ago? Should be tight competition throughout the fleet, in the mid-wind range everyone is quick, and in the later arvo [editor’s note: “afternoon”] though heavy teams are going to have an edge. How would we stack up against a fleet from 10 years ago? 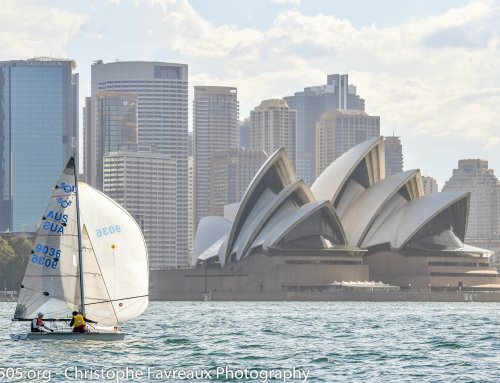 I recon the quality of sailing keeps improving. If we look over the podium from the last 10 Worlds all the competitors are still sailing. A great part of the 505 fleet is the willingness of the guys at the front to help the others get up to speed. As a result of this the competition just keeps getting better.